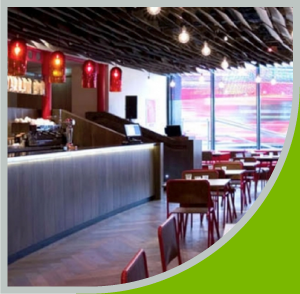 Stress UK were commissioned to develop, design and install a system to remove a long heavily loaded main structural reinforced concrete wall within the Roundhouse complex. 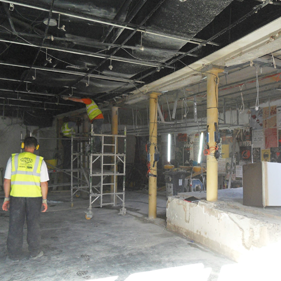 The system had to allow continued use of the remainder of the venue, provide full support to the structure above at all times and fit the tight programme of refurbishment works. 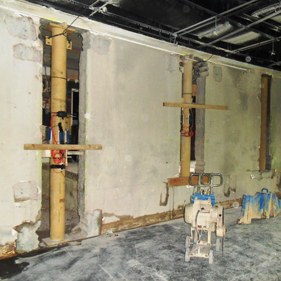 Slots in the RC wall were cut out and steel columns installed with hydraulic flat jacks and a sensitive strain and load monitoring system mounted on each. The columns were then pre-loaded through the jacks using resin under pressure. The jacks remain in place after the resin has cured to maintained the design loading. 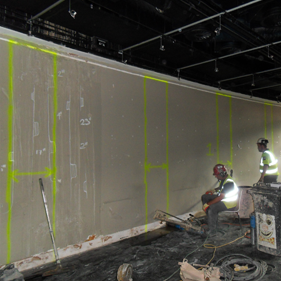 The remainder of the reinforced concrete wall could then be removed by conventional sawing and breaking. 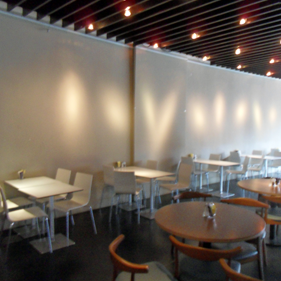 The works went to programme and the restaurant opened on time. The space is cleared and marked up for removal of the concrete in sections. Our hydraulic jacks and steel columns are now in place, each one fitted with a strain and load monitoring system. The remaining concrete is safely removed without fear of collapse.